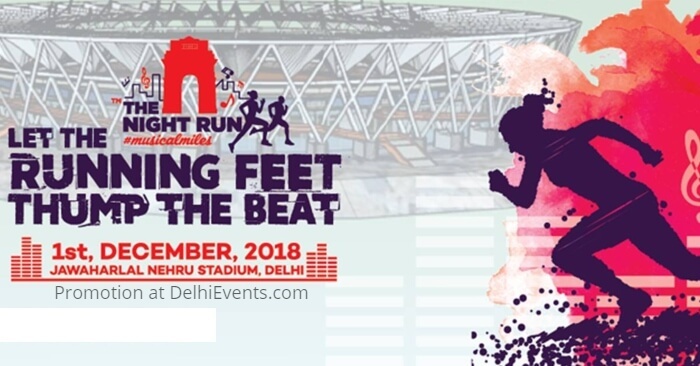 Event Description : SPORTS / MUSIC "The Night Run"
The Night Run is Delhi’s own running music festival – an ultimate blend of a music festival and a fun run. Just as dusk begins to fall, The Night Run will begin in the very heart of New Delhi and will take participants through an experience filled with music, lights, lasers and entertainment. Runners will cross the finish line into an epic main stage after-party featuring a top headliner DJ and live band performance.